By centralizing customer data, you can provide more personalized, relevant and engaging interactions and experiences. You need a single, continuous view of your data if you have any hope of understanding your customer. You also need a flexible and smart analytics platform that helps you transform that data into decisions. This report explores the changes that have occurred in the data integration and management space, including how to turn the concept of the data lake into reality in order to deliver greater business agility and benefits. 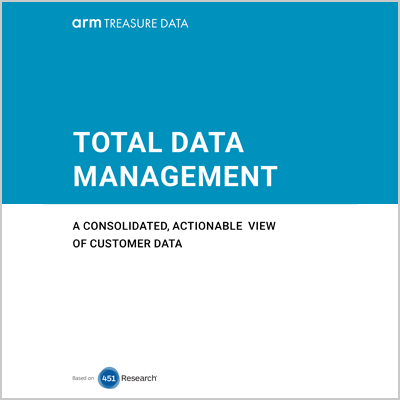 This report is sponsored by Arm Treasure Data.